At Imagine Trailvans we believe that convenience and usability go hand-in-hand with good quality. 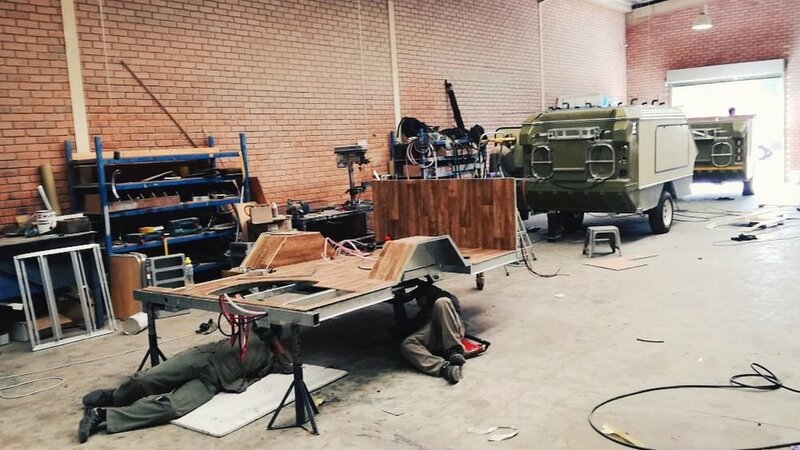 Each off road camper trailer takes 3-4 weeks to produce. The trailer is then shipped from South Africa across the globe. 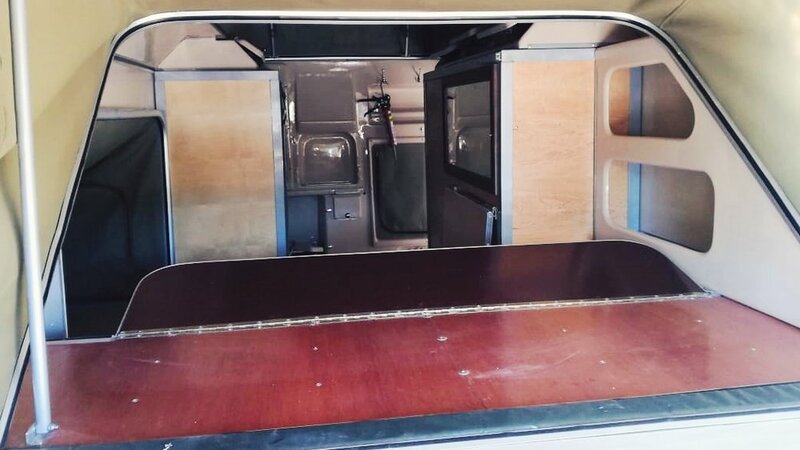 Imagine Trailvans PTY has a keen eye for detail and upholds the highest standard of quality which results in a good quality and user friendly product. i. The manufacturing team is building the Chassis. ii. Working on the flooring and wiring. iii. The flooring is being inserted. iv. Paneling is being inserted. vi. The manufacturing team is working on the roof. vii. The bed basis is inserted. viii. The exterior tents are attached. ix. Cabinetry and the interior is being done. x. This is a final quality inspection. As can be seen from the production photos above, this is a Galvanized metal frame expertly welded and boxed for structural rigidity. Aluminum is then used extensively for the inner frame of the trailer which is covered in a fiberglass body. 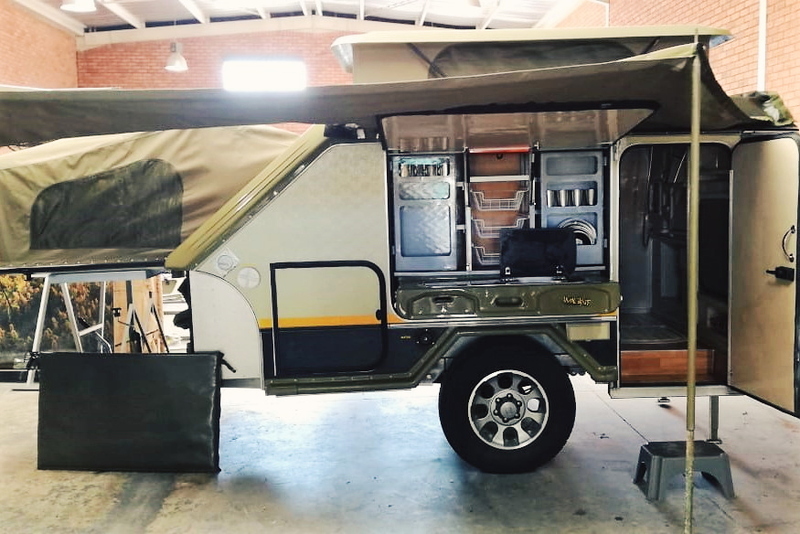 This makes for an extremely lightweight off road camper trailer that can be pulled by the new generation off road vehicles. The robust Chassis enables it to follow your vehicle over any terrain it can navigate.